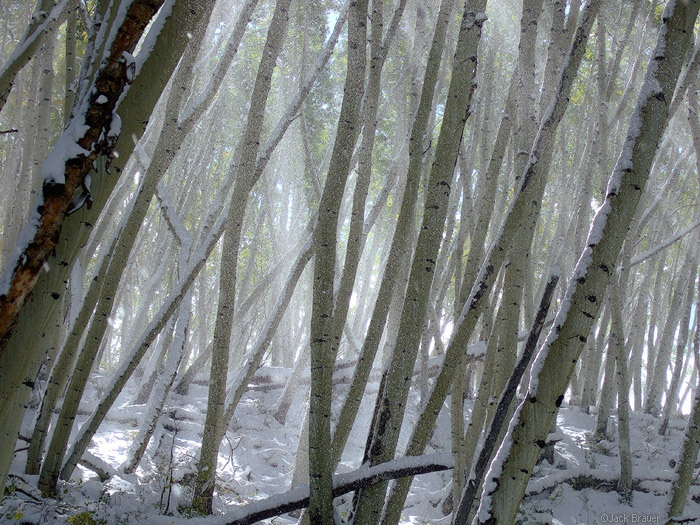 Sunlight beams through fresh snow that is blown off the aspen trees. San Juans, September. Photo © copyright by Jack Brauer.